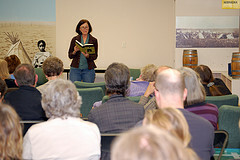 The 2011 Nebraska Book Festival marks the 19th annual book festival dating back to 1991. 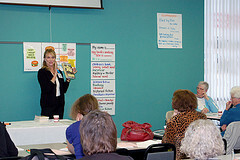 Historically, the Nebraska Book Festival has offered high-quality speakers, presenters, moderators, and workshop facilitators. For more information on past festivals visit the Nebraska Center for the Book’s Nebraska Book Festival information page. The Nebraska Book Festival (formerly the Nebraska Literature Festival 1991-2001) has been co-sponsored by the Nebraska Center for the Book and the Nebraska Humanities Council since its inception in 1991. The Nebraska Library Commission and many other organizations and individuals have also contributed to the festivals over the years. The change of name from Nebraska Literature Festival to Nebraska Book Festival in 2002 broadened the scope of the event to include contemporary Nebraska writers and books, as well as the great classic writers of Nebraska’s literary heritage. The festival is dedicated to Nebraska writers and books and celebrates the reading and writing life of Nebraska.